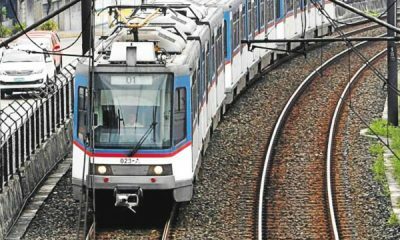 Senator Risa Hontiveros allegedly offered a “shocking solution” to the Manila Metro Rail Transit (MRT) System’s problems, which is for the public transportation system to stock up on diesel and gasoline. 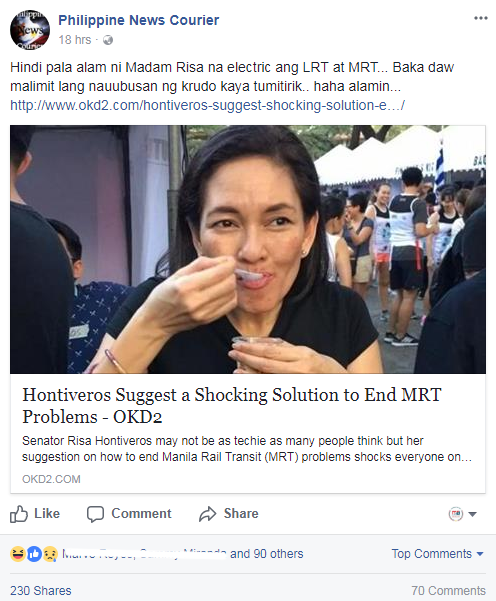 The Facebook pages that are spreading the story are mocking the senator for not knowing that the MRT needs electrical supply, not diesel. 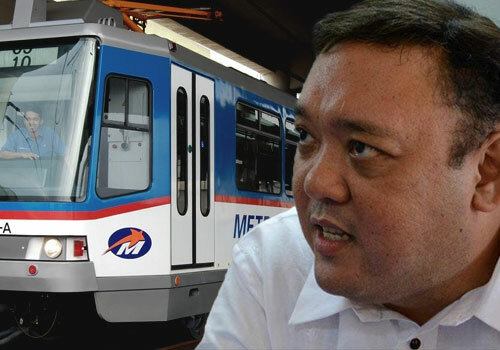 Facebook pages “Philippines News Courier” and a netizen who shared the story to the group “(v/f)DDS/ DIEHARD DUTERTE SUPPORTERS” are dissing the senator for not knowing much about how MRT works. 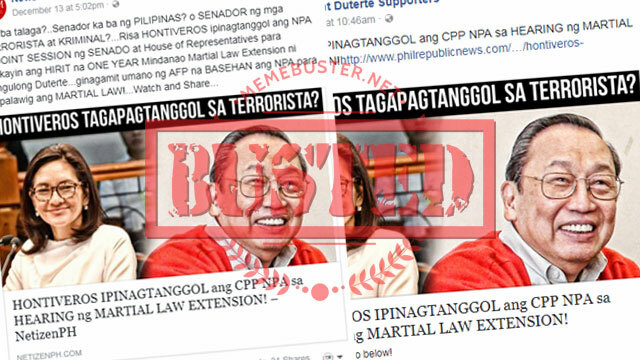 But it was quite easy to debunk this story once we found out that it came from Okd2.com’s “Humor & Satire” stories. 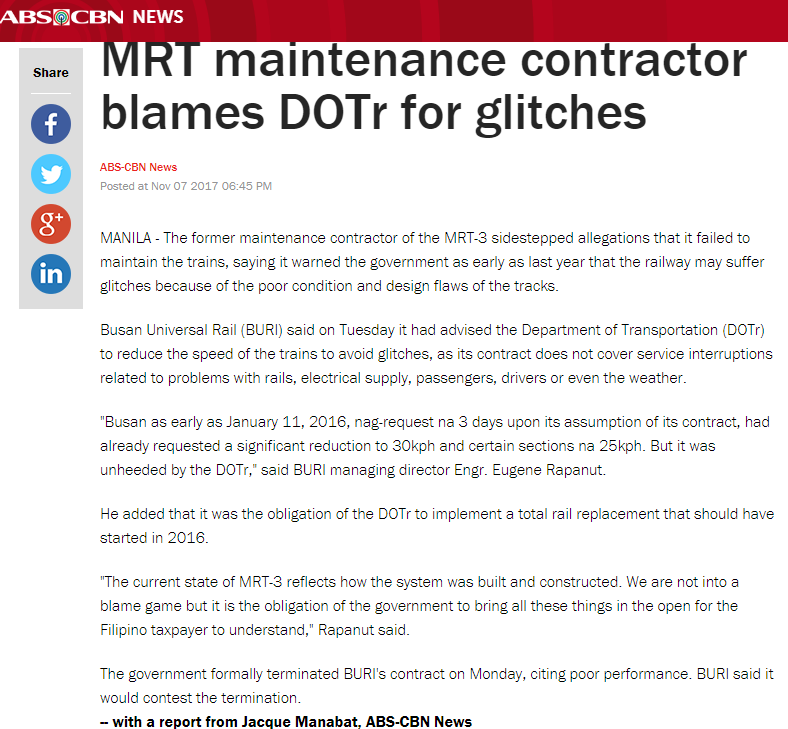 While trying to verify the claims in the story, we found that a huge chunk of the Okd2 article was copied from an ABS-CBN report, “MRT maintenance contractor blames DOTr for glitches,” published on November 7. 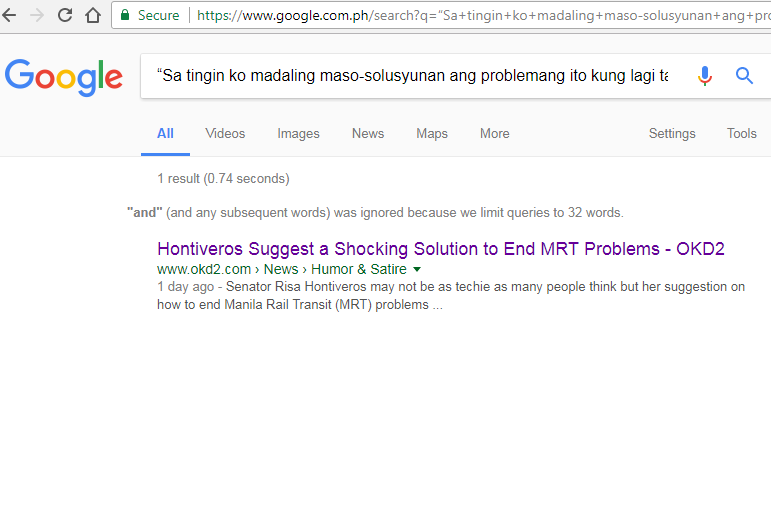 But the last paragraph in Okd2’s story is where the “false” part of the “satirical” story comes in. See? 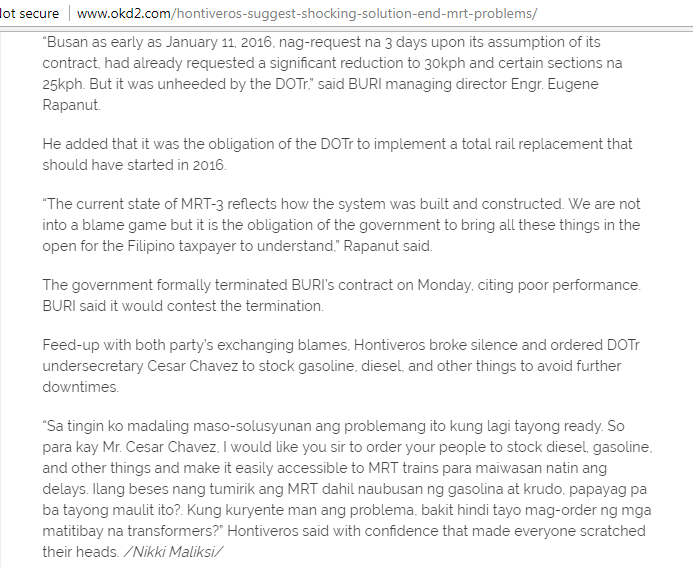 That statement only comes out in the same Okd2 article. 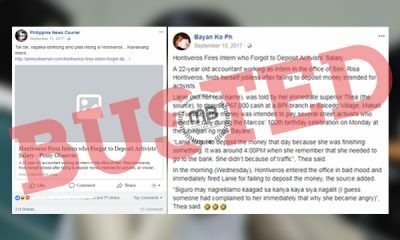 But as with the other fake articles before this one, many netizens were quick to comment and form their opinions based on the false story. 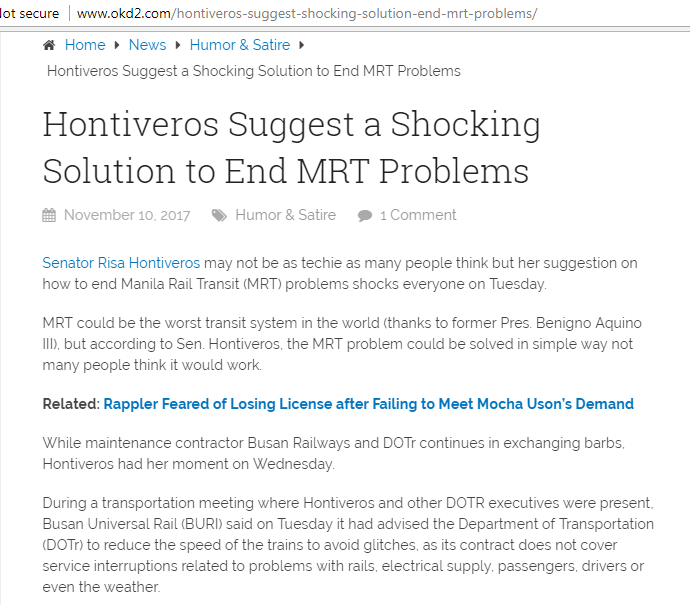 If only these commenters took their own advice and did their own research, just like what they suggested Hontiveros should have done, they would have known that the senator did not really say that about solving MRT’s glitches. They would have also saved themselves from getting riled up and from typing up vile words for the social media world to see. 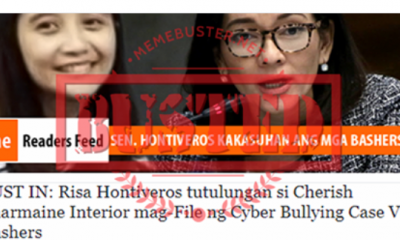 Many netizens also fell for the fake story about how Hontiveros allegedly filed a bill to have the MRT and LRT passengers color coded.